Will YouTube Music Insights Help Artists Better Connect With Fans? Musical artists on YouTube now have a suite of tools to help them understand their audiences, as the Google-owned video site announced the launch of Music Insights. Music Insights will provide information for musical artists on YouTube, including cities around the world where they are most popular, top tracks and video views via both official and fan-uploaded videos, the latter using YouTube’s Content ID technology. The feature launched Wednesday for more than 10,000 popular artists, with more to be added, and YouTube also announced that its YouTube for Artists page is now available in 22 languages. Did you know that Kina Grannis has more YouTube views in Quezon City, Philippines, than any other city in the world? Or that Alabama Shakes–the American rock band formed in Athens, Ala.–is viewed more in São Paulo than any city south of the Mason-Dixon line? Whether you’re Kina, Alabama Shakes or a part of the broader music community, info like this can be used to create all kinds of opportunities for both artists and fans. 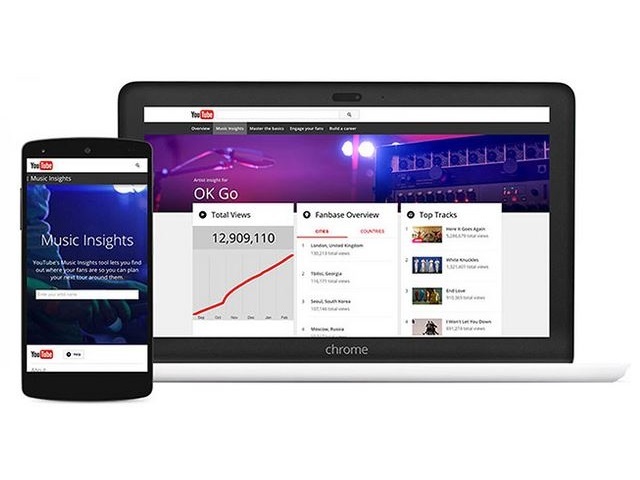 Readers: What are your initial thoughts on YouTube Music Insights?